At Christmas, you gave generously to the Lottie Moon Christmas offering to support our international missionaries. 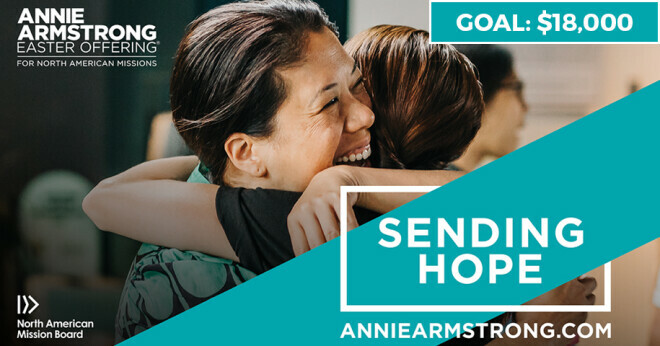 Now it’s time to support our national missionaries from the North American Mission Board through the Annie Armstrong Easter offering. Our goal is to collect $18,000. Pray about how you can give!